FilterMag results speak for themselves. 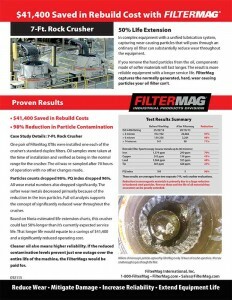 63% Improvement in the number of pumps operating in the normal range after FilterMag. 18 working Mud Pumps with a history of analytical ferrography took part in a FilterMag evaluation. Ferrography results were classified into Normal, Caution, Abnormal and Severe based on the severity of wear particles observed. 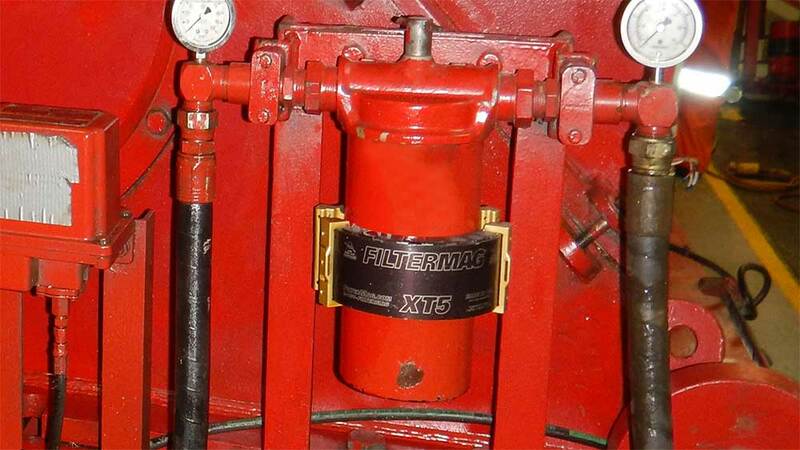 Two FilterMag XT5s were installed on the single canister filter of each mud pump. 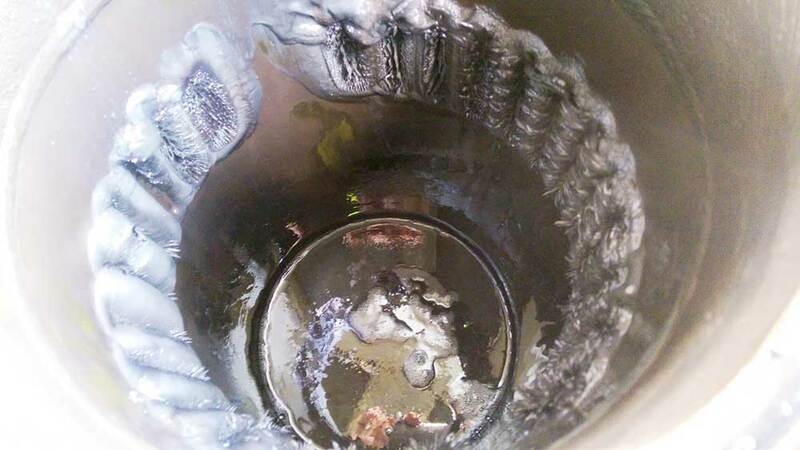 After a minimum of 150 hours of operation with FilterMags installed, the oil was resampled. 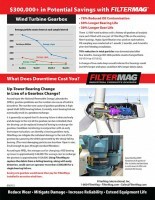 There was a 63% improvement in the number of mud pumps operating in the normal range after FilterMag. • Results: 50% life extension based on particle reduction. • Savings calculated on balance of crusher life before next rebuild. In complex equipment with a unified lubrication system, capturing wear causing particles that will pass through an ordinary oil filter can substantially reduce wear throughout the equipment. If you remove the hard particles from the oil, components made of softer materials will last longer. The result is more reliable equipment with a longer service life. 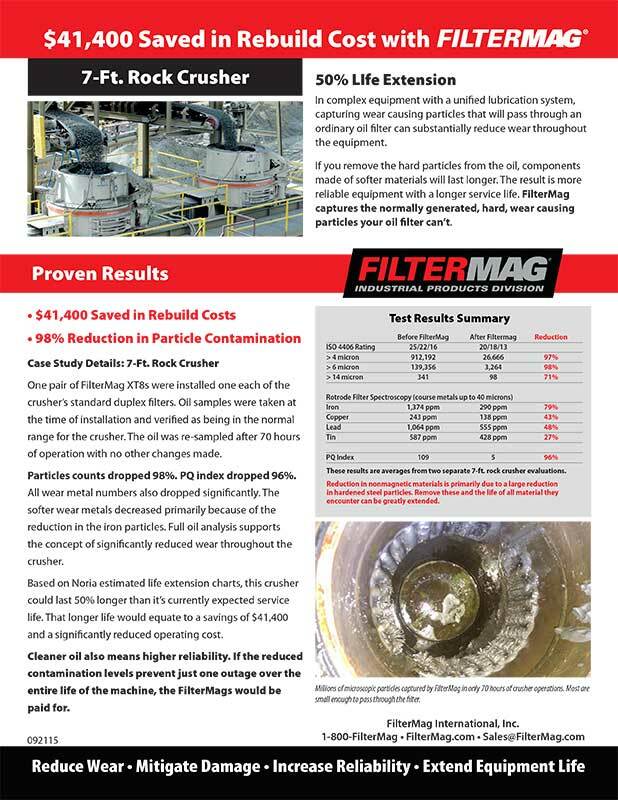 FilterMag captures the normally generated, hard, wear causing particles your oil filter can’t. One pair of FilterMag XT8s were installed one each of the crusher’s standard duplex filters. Oil samples were taken at the time of installation and verified as being in the normal range for the crusher. The oil was re-sampled after 70 hours of operation with no other changes made. 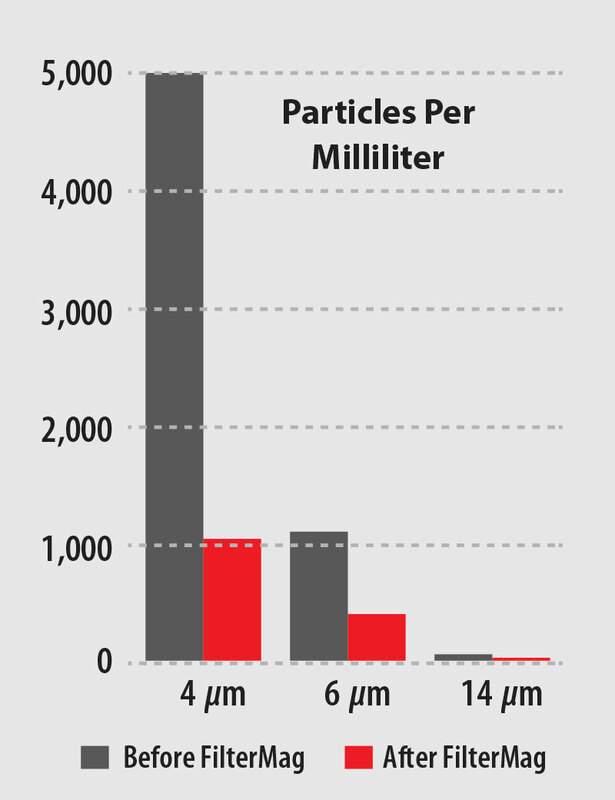 Particles counts dropped 98%. PQ index dropped 96%. All wear metal numbers also dropped significantly. The softer wear metals decreased primarily because of the reduction in the iron particles. 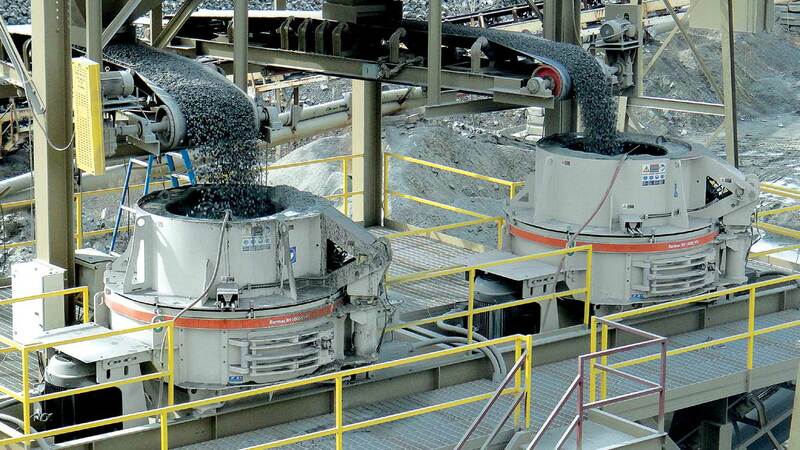 Full oil analysis supports the concept of significantly reduced wear throughout the crusher. Based on Noria estimated life extension charts, this crusher could last 50% longer than it’s currently expected service life. That longer life would equate to a savings of $41,400 and a significantly reduced operating cost. Cleaner oil also means higher reliability. If the reduced contamination levels prevented just one outage over the entire life of the machine, the FilterMags would be paid for. 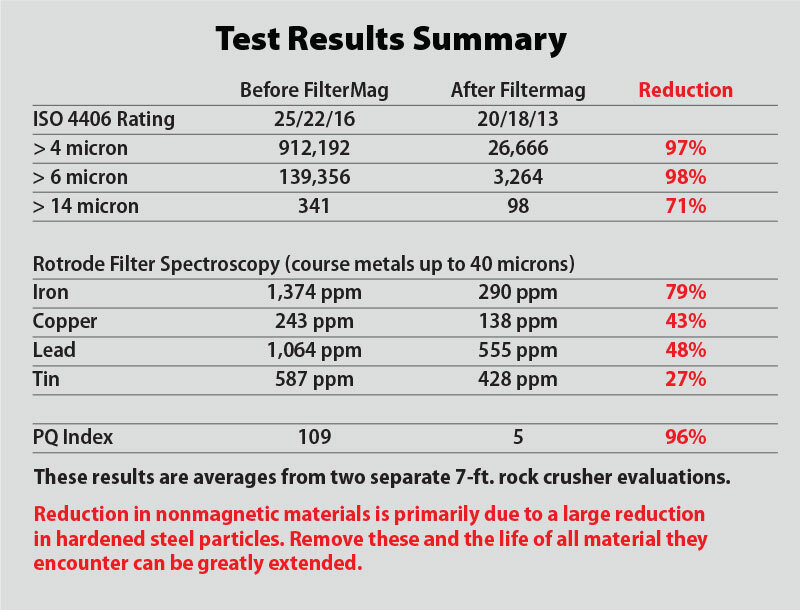 Millions of microscopic particles captured by FilterMag in only 70 hours of crusher operations. Most are small enough to pass through the filter. Typical FilterMag XT installation on the duplex filtration of a crusher. Typical FilterMag XT8PR Installation on the gearbox oil filter. A stainless steel band clamp is used to secure the XT8s to the aluminum filter housing. 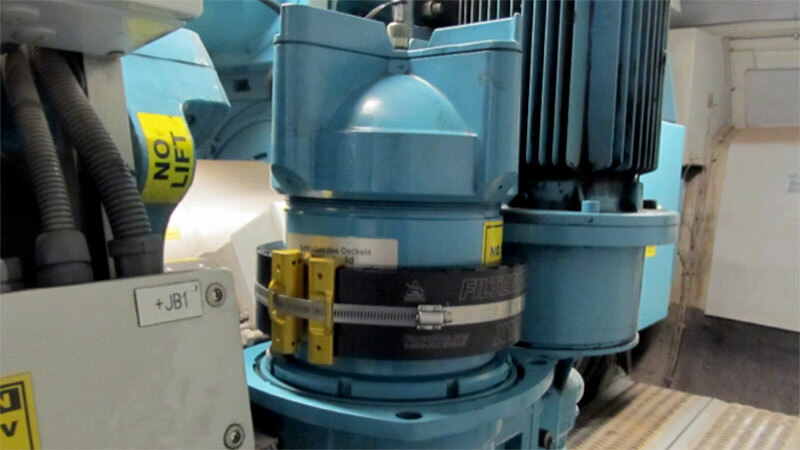 Three 1.5 MW wind turbines with a history of gearbox oil analysis were each fitted with one pair of FilterMag XT8s on the existing filter housings. 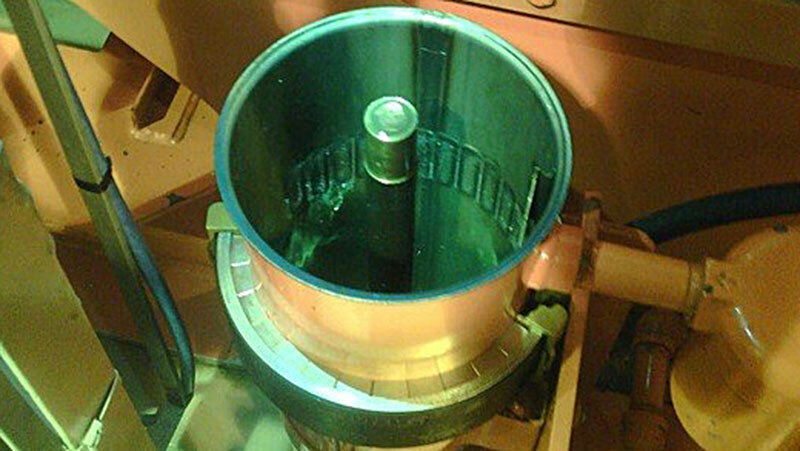 Hydac 5µm filtration was used on each turbine. Oil sampling was conducted at 1 month, 2 months, and 4 months after the FilterMag installation. 78% reduction in total particles was demonstrated after four months. 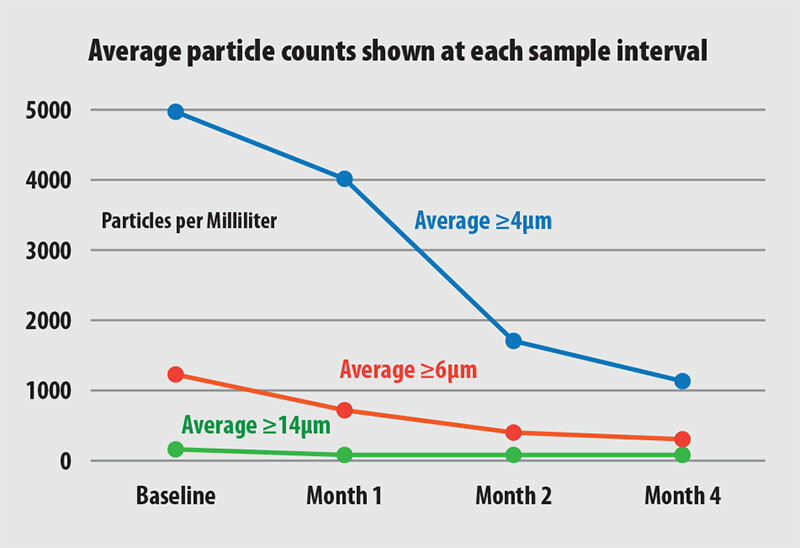 Average ISO 4406 particle counts changed from 19/17/14 to 17/15/12. A change of two code drops would indicate that bearings could last 50% longer and gears could last 30% longer (Noria data). Up-Tower Bearing Change in Lieu of a Gearbox Change? 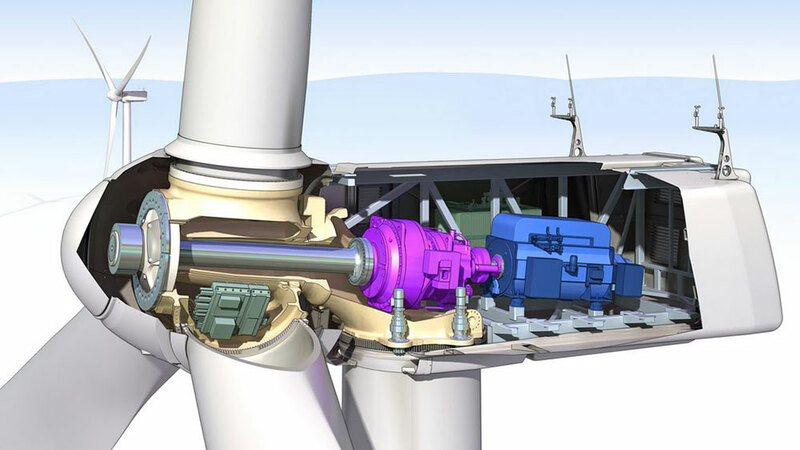 According to the National Renewable Energy Laboratories (NREL), gearbox problems are the number one cause of turbine downtime. The number one cause of gearbox problems is high speed shaft (HSS) bearing failure. Currently, most bearing failures eventually result in a gearbox exchange. According to NREL, the average cost for changing a HSS bearing up-tower is approximately $46,000. The average cost to exchange the gearbox is approximately $424,000. 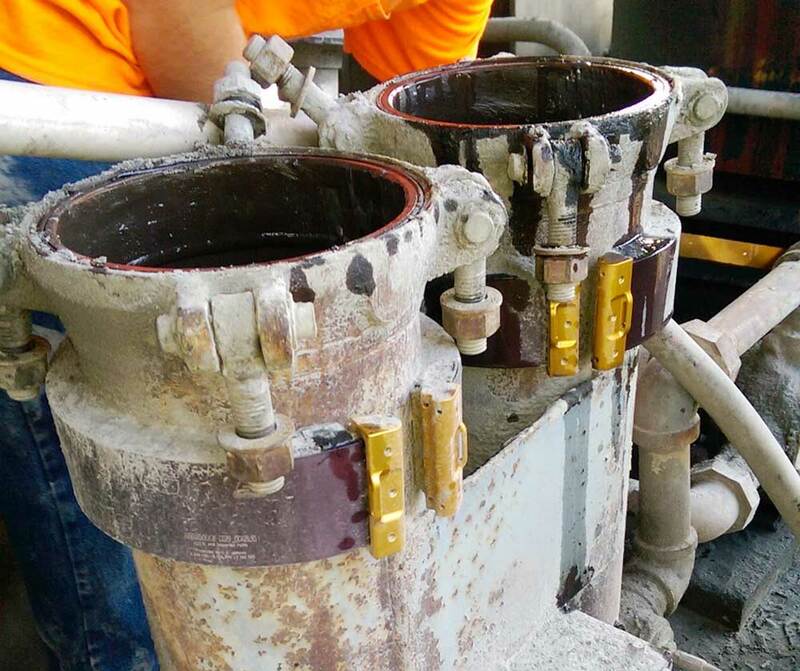 Using FilterMag to capture the debris from a failing bearing, along with early detection, could save an operator more than $300,000 for a single bearing failure. 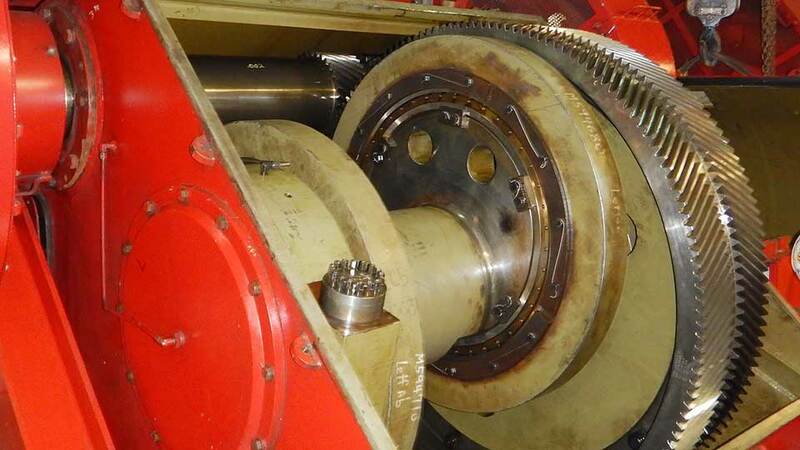 Saving one gearbox would more than pay for FilterMags installed in an entire wind farm.